HCM City (VNA) – The Vietnam Chamber of Commerce and Industry’s Ho Chi Minh City Branch (VCCI-HCMC) and the BB Vietnam Investment and Trading Corporation has launched brand new multifunctional goods distribution platform BBLink. 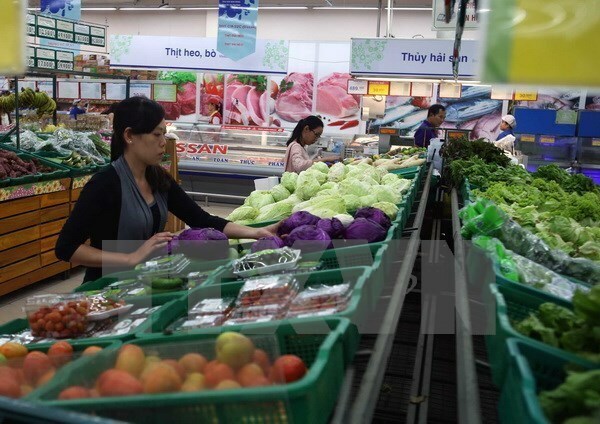 Speaking at the launching ceremony on April 3, Director of the VCCI-HCMC Vo Tan Thanh said Vietnam holds a potential retail market of 97 million people, with the sector reeling in 143.3 billion USD in revenue last year. Modern e-commerce channels account for between 20-25 percent of the market’s share, while the rest belong to traditional channels, which include over 9,000 markets and 1.4 million grocery stores. However, the distribution of goods and services still face shortcomings in terms of cost, management, and productivity assessment. In such a context, BBLink was introduced as a more optimised platform that helps suppliers deliver their goods and services to customers via the traditional channels of over 9,000 selling points. Vincent Lu, head of strategy at BB Vietnam, said BBLink is a technological solution, applying e-commerce to support businesses. It helps companies gain easier and faster access to traditional distribution channels at optimal efficiency.